Think about the first thing a customer sees when they step out of their car and approach your building. Do they see cracks in the walkways? Chips of concrete missing from curbs? Unsightly stains on the surface? Tripping hazards? In short, are your businesses’ efforts to attract customers inside neglecting the negative impression you’re making on the outside? Maybe it’s time to consider concrete repair to freshen up the appearance and foundational soundness of your curbs and walkways. Facility managers commonly – and mistakenly – jump to a concrete replacement without first considering concrete resurfacing solutions. Knowing when and how to intervene when concrete cracks or fails takes an experienced eye. While concrete is by far the most commonly used material in construction, it can also be among the most misunderstood; particularly as it relates to maintaining and repairing it. Trusted contractors today steer their customers to engineered concrete alternatives on the market that can not only offer a more attractive finish for image-conscious businesses, but can be a stronger, longer-lasting and therefore less-expensive option. Concrete sidewalks, driveways and floors can be worn and pitted, but still be considered structurally sound. 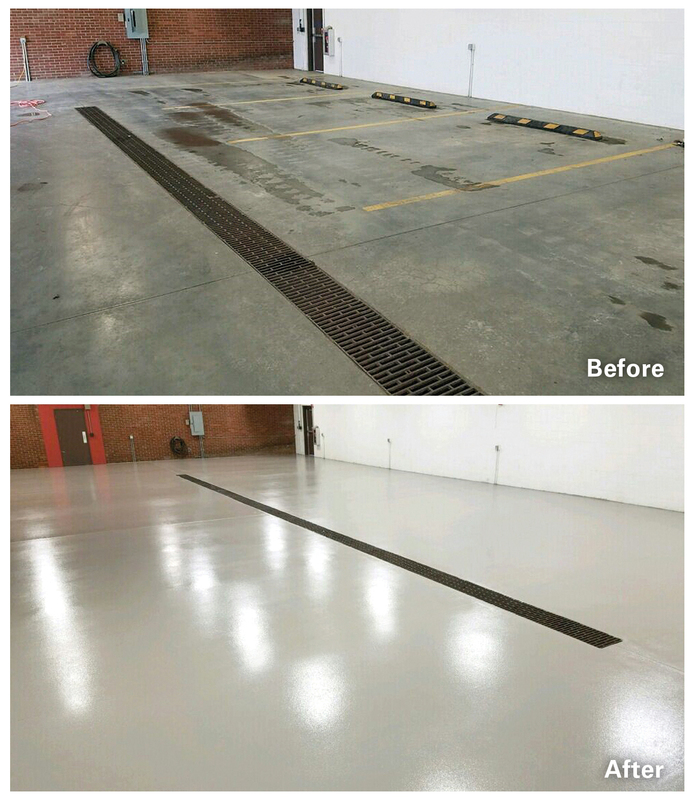 Instead of tearing up and replacing concrete, consider installing a sealed, epoxy-resin overlay to the surface. Epoxy-based systems can be 3-4 times stronger than conventional concrete, are able to seal the surface to prevent water and other substances from penetrating it, and can extend the life of a concrete foundation. Additional benefits of epoxy overlays include much quicker project turnaround; a stronger, sealed non-porous surface; decorative color options; resistance to salt and many chemicals; a slip-resistant profile and a warranty. Educate yourself on what alternatives to concrete exist, and whether the defects you’re seeing on your surfaces can be addressed with an epoxy overlay. Send a photo and description of your concrete defect to contactus@simonsurfaces.com with a subject line of “Can you help with this?” to start the process of determining if a concrete alternative can be a solution for you.